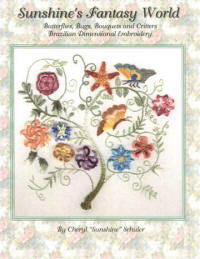 Brazilian Embroidery and other fine Stitcheries look wonderful & luxurious with this rayon thread. Lola, Nova, Boucle, Cire, Frost, Iris or Glory are all available. 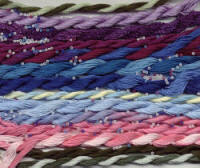 The scanned skeins of thread are the dye lot as of picture day only. Be advised to order plenty of the color you need. The next dyelot may be slightly different. We can not guarantee exact color matching to the pictures shown here. Your monitor may show a variation or the dyelots may have changed. Enter quantities in each of the squares. Once you have chosen how many of each weight of that particular color click the "Add Now" button.